Last weekend’s Halloween party was attended by many cadets hungry for horror and treats! The students looked fantastic in their costumes and several of the teachers and their children made guest appearances. Later, cadets enjoyed the classic horror film, Poltergeist. The cadets’ trip to the Corn Estate in Cornwall-on-Hudson last weekend was fantastically scary. We are happy to report that two busloads of cadets arrived safely back on campus after being frightened by local ghouls. 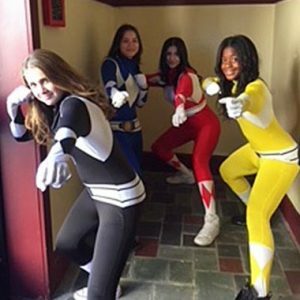 Most of the teachers and students wore costumes to class on Halloween. Much fun was had by all and the Mess Hall really outdid themselves at lunch with specially decorated cupcakes.